In a small bowl, combine spice ingredients (table salt, garlic powder, chili powder, ground cumin, pepper, and cocoa) set aside. Wash and pat dry the chicken breasts. Place them on individual sheets plastic wrap, large enough to wrap around them. Pound the chicken breast to an even thickness. Sprinkle the breasts with the spice rub. Wrap the plastic wrap around each breast and place in a ziploc freezer bag. Label the bag with the name and date. When read to cook, remove from the freezer and thaw in the fridge. Pre-heat the grill to medium heat and grill 5-7 minutes on each side. 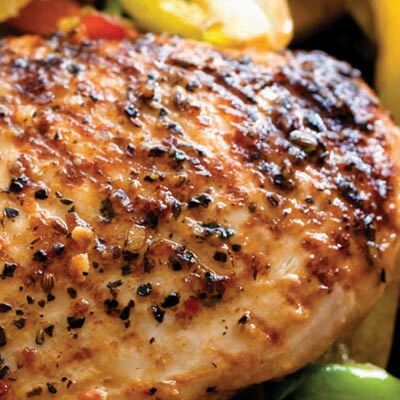 This entry was posted in Chicken, Entrees, Modified Profast (Fast and Flexible) Recipes, Nutriplus Recipes (Balance Your Pyramid) and tagged Chicken, grill, grilled chicken, Metabolic Medical Center Recipes by foodies4mmc. Bookmark the permalink. I think I will try this recipe this weekend.